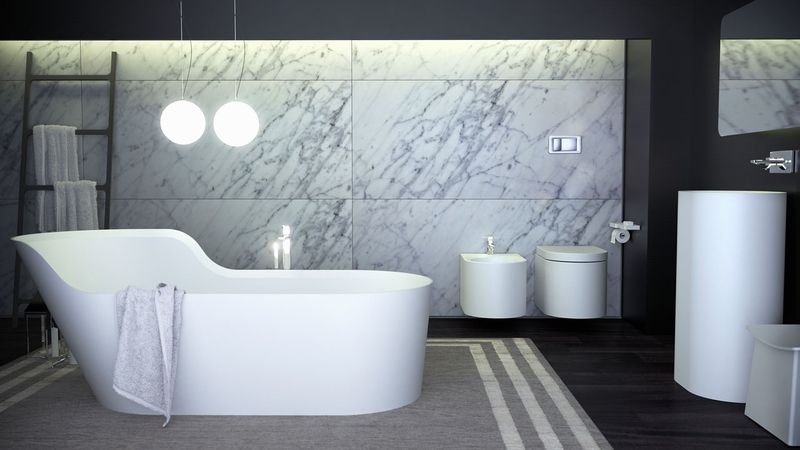 Knief & Co. is proud and pleased to welcome you within our world of our luxury K|Stone® solid surface bathrooms. Discover our vast collection of extraordinary designs which will inevitably inspire you and please share with us our fascination on architecture, design and luxury. Emanating a warm vibrancy, the k|stone® glow series cossets you in your own personal world of relaxation. 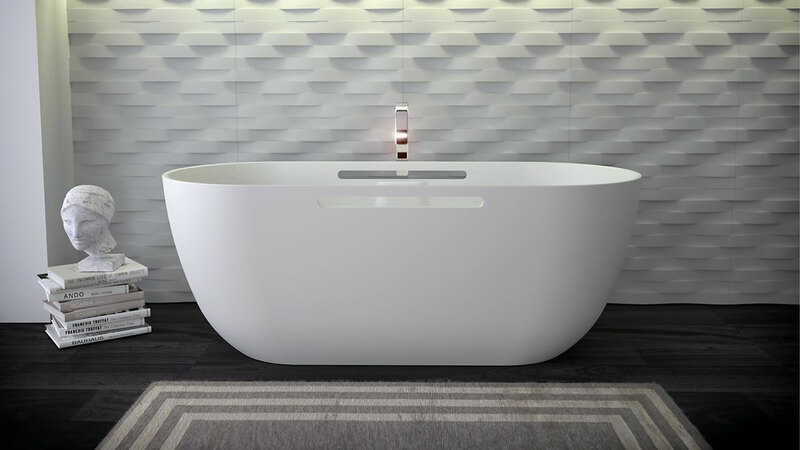 With its clean graded lines the glow bath is available in symmetrical or asymmetrical design fitting left or right side. 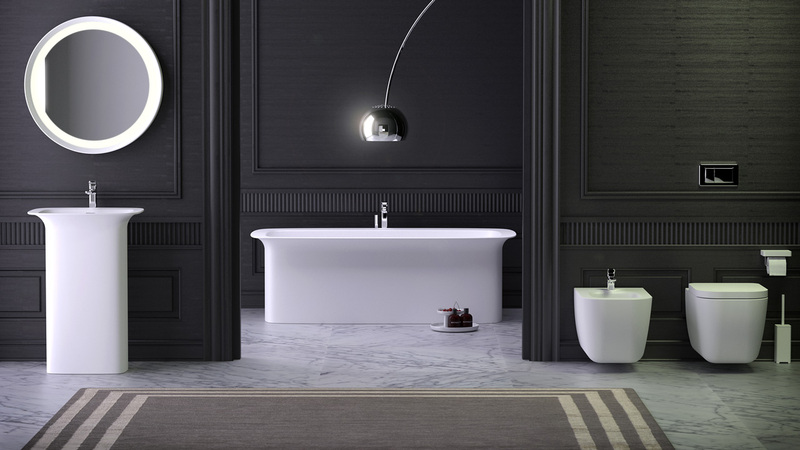 All bath designs are complemented with the glow toilet, bidet, countertop or freestanding washbasin solutions. Enjoy and lose yourself in luxury with the purism of this superb series. The epitome of awesome clean design. Pearl interprets modern lines and is open in its uniformity. The key to the pearl is its classic form, it allows for leaning back and resting and with its warm embrace the haptic feedback is clearly perceptible. Pearl can be the center piece of a coordinated suite of bathroom furniture, All solid surface including bidet, toilet and washbasins, both freestanding and countertop. Pride, a strikingly attractive k | stone® evolution married with practical extended surfaces that create a wave of smooth flowing lines. Pride is comfortable in its own skin and will make your bathroom truly special, matching details and accessories will inevitably provide a daily cheer-up! The expression of first class design.A perfect symbiosis of rounded and straight lines is showing extraordinary artwork. 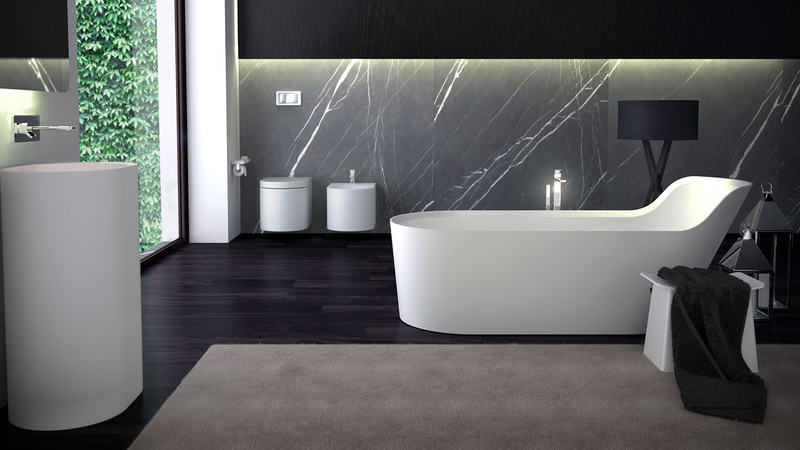 Feel the inevitable character of this bath and assimilate the smoothness and cosines it radiates. 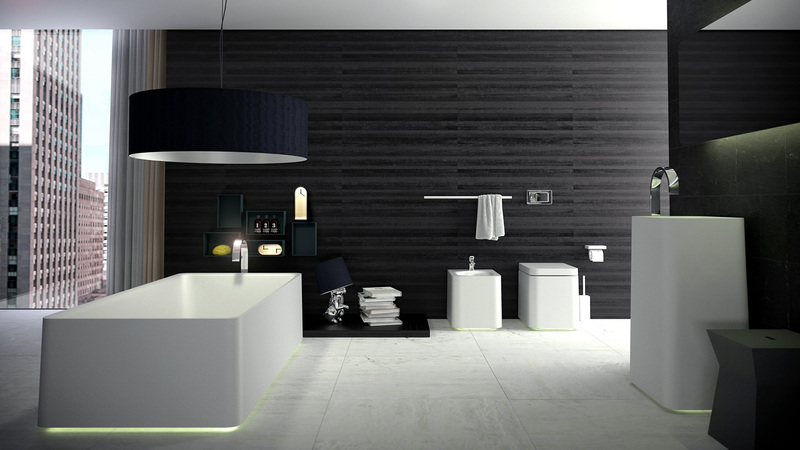 The whole series is available with toilet, bidet and washbasin in freestanding or countertop version. our accessories round up and perfectly integrate in this picture of harmony and relaxation. Inspirational words that embody the philosophy behind the exceptional series shine, which comes alive through subtle led illumination. Create a very special ambiance right in your own home with this unforgettable collection all capable of being individually illuminated. Superior design from out of space. The combination of living light elements with extraordinary rounded and smoothed shapes make moon unique in the universe. Be a pioneer and discover new dimensions of luxury and extravagance. 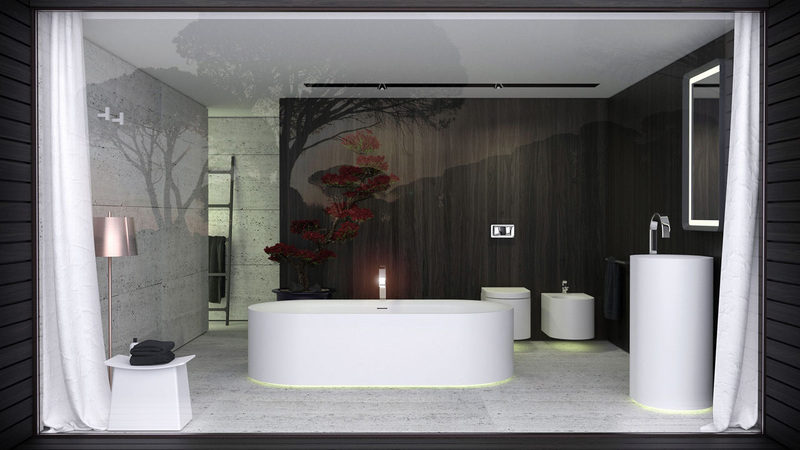 Sense the embrace of this fascinating design which warmly illuminates your bathroom. Some say the unique feel series is peter jamieson’s finest work, its classic angular formation gives flexible but highly stylish solutions to multitudinous bathroom conundrums. Conceived in the principality of Mmonaco this is European style at its best attracting interest from around the world. the embodiment of no nonsense bathing, enjoy! Be sure to consider the complete suite for maximum effect and lasting impression. Reside royally and bath rst class! This luxury modern design series leaves no wish unful lled. 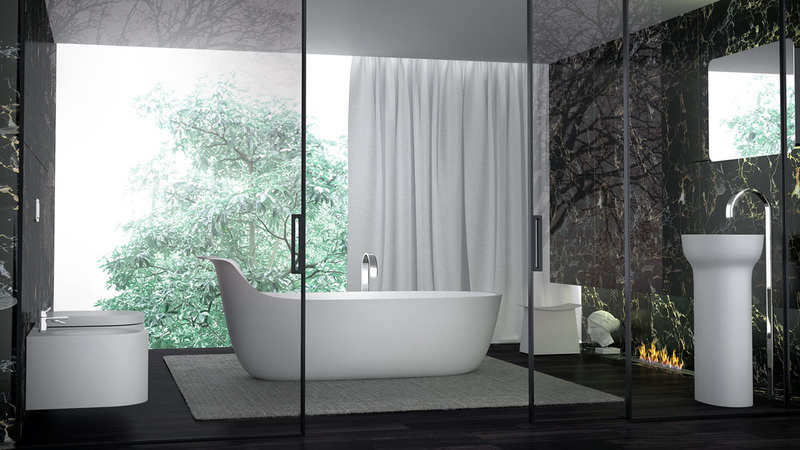 Created with pure lines it conveys the character of natural elements glamorously implemented in your bathroom. formations of classic rectangular shapes interacting with dished nishes are setting a statement. Impress yourself every day in adding luxury trends and highlights to your home. Daily ablution made effortless! considering that most people start their day with a refreshing shower we wanted to make that experience liberating. Everyone who has ever taken a shower has considered ideas. These ideas come more easily when that essential experience allows the mind to run free. Our amazing k | stone® shower solutions are superbly crafted to look, feel and perform outstandingly … allowing your creativity to break free! Complement your k | stone® bath with our furniture series ‘strip’, ‘slab’, ‘boxes’ or ‘shelves’ allowing you to complete your bathroom arrangement – with either integrated or top mounted basin solutions including storage underneath. Choose from three sizes 90, 120 or 160 cm with single or double sink configuration. All series can also be equipped with led illumination to create that special ambience. So let your imagination take charge and create the effect of your dreams! Customized product development implements the core idea of evolution. We are your competent workbench! With our K | Stone® solid surface production, we will accomodate every request and special requirement to perfectly satisfy our customers. Whether the purpose is an individual architecture project or the creation of a commercial range: the variety in form, design and colour is nearly endless. 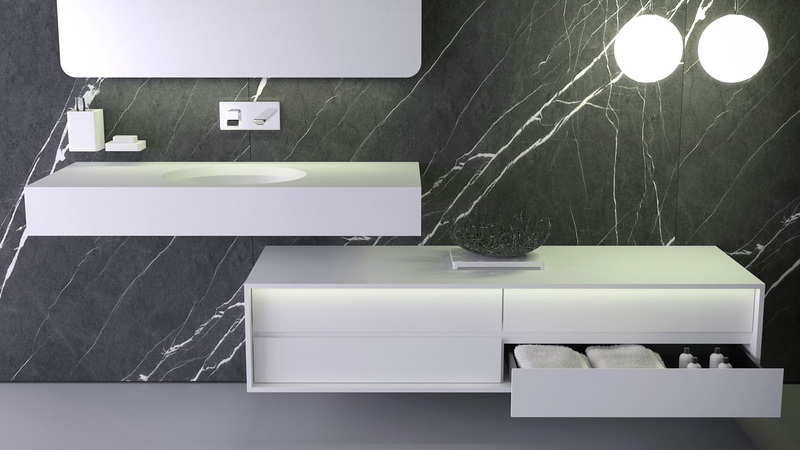 K | Stone® is not only aesthetically stunning – it is also functional! 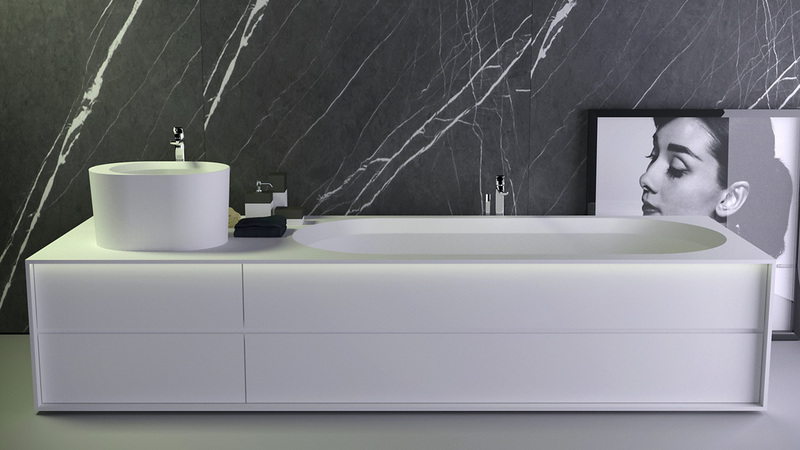 adding to our vast k | stone® collection, Coast offers a modern and elegant wall bath solution with a beautifully refined thin rim and a wide shelf at the wall to either install the taps or to put your shampoos and soaps. another new addition to the k | stone® collection is lotus. with its high sides it is inviting you to sink in. 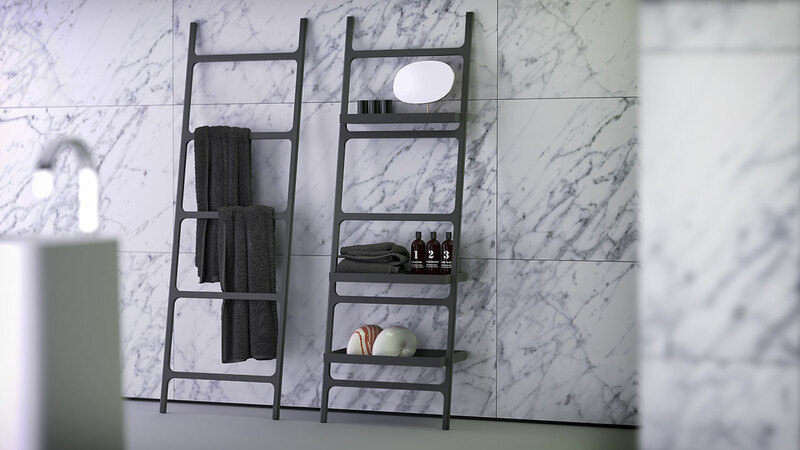 lotus is available with cutout slots which act both as a towel rail to keep your towel handy, and also as a practical grab bar for security. another version exists without the cutouts. Knief & Co. is situated in Bremen / Germany. With regard to freestanding bathtubs, our family owned company has over 20 year experience in specialized acrylic as well as 10 years in solid surface production. 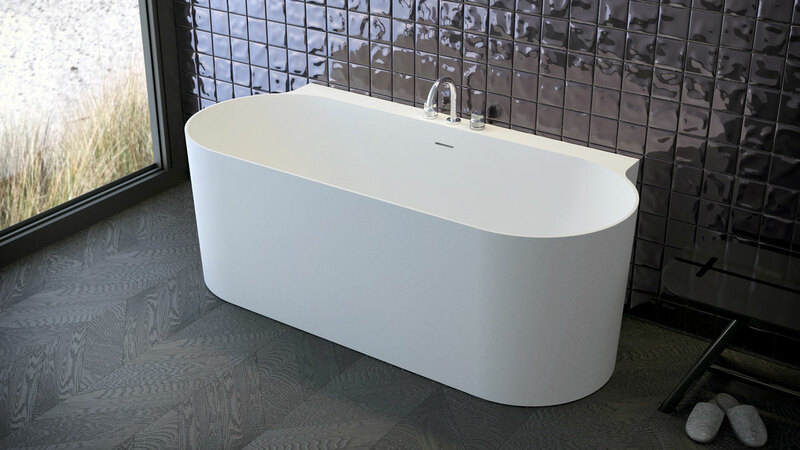 Using only best raw materials, with our accumulated know-how and outstanding quality we are recognized as the market leader for acrylic freestanding bathtubs and solid surface architecture 100% made in Europe, fulfilling highest quality parameter and individual customer requirements. Knief & Co. grants a 10 year warranty on all of its collection – another indicator of the excellent quality.